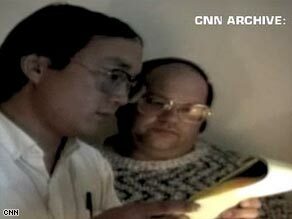 (CNN) -- Vito Maggiolo, an assignment editor in Washington who has been with CNN since the network started in 1980, was sent to Beijing in the spring of 1989 to help cover the historic visit of Soviet leader Mikhail Gorbachev to China -- like everyone else who was sent to Beijing. Vito Maggiolo (right) argued that a letter requiring CNN to stop broadcasting did not have the correct seal, or "chop." "All of us went to China prepared for and expecting to cover what for us was a fairly routine, scheduled, structured event," said Maggiolo. "Then we had this whole event in the square materialize and suddenly ... we found ourselves covering a mini-revolution." Maggiolo missed the actual crackdown -- his visa had expired so he was pulled out a few days before June 4 -- but what he'll always be remembered for, he says, is his last-ditch role in the confrontation between CNN and the Chinese authorities that ended with the Chinese halting CNN's live transmission on the morning of May 20. Alec Miran, the special events producer for the Gorbachev visit, had been negotiating with the Chinese to try to stay on the air. The entire debate between Miran and the Chinese officials in CNN's control room, filmed by a CNN production person with a handycam, was broadcast live on the network. "Miran was telling them that we had a document that said we could transmit until such and such a time," Maggiolo recalls. "He was saying that if that had changed, we needed a new document saying that. The Chinese officials then handwrote the notice on a yellow legal pad." Then an ABC producer came in, Maggiolo recalls, and read and translated the document. "He read this document and then there was this moment of silence," Maggiolo said. "It was then that I chimed in. 'Excuse me, I said, but this doesn't have an official chop on it. China was extremely bureaucratic then. They lived and died by the chop. I was just trying to use their own bureaucracy against them to try and slow things down." "It turned out to be a futile effort," says Maggiolo, "but I gave it the old college try." Just a few days later, on June 4, Maggiolo was back in Washington at a D.C. firehouse, where he volunteered, shooting video for the fire and emergency service there. "We were watching events on television," he said. "My heart was just pounding. I knew we had people in the square." "I was anguished," Maggiolo said. "I just wanted very much to have still been there." Vito Maggiolo still works as an assignment editor in CNN's Washington bureau.